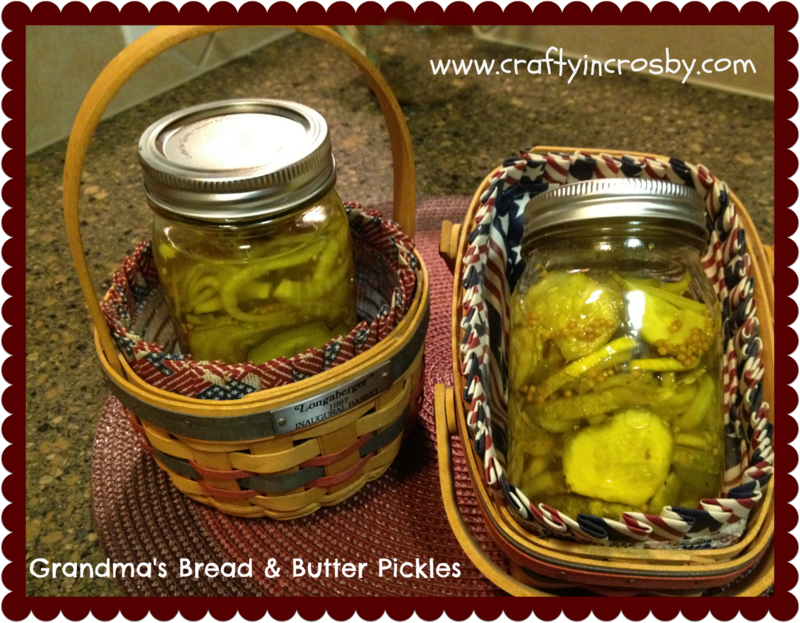 - my Grandma Rhodes' recipe for Bread & Butter Pickles. My brother brought over a bumper crop of cucumbers and Mom made the pickles using Grandma's recipe. They are delicious! Sweet and crisp and just the right thing on a hot summers day. Wash and slice into paper thin slices - onions, cucumbers, & pepper. Mix salt in them & bury in ice. Cover with weighted lid & let stand 3 hours. Drain thoroughly. Make syrup of sugar, turmeric, cloves, celery seed, mustard seed, & vinegar. Pour over cucumber mix. Place over low heat. Heat to scalding-stirring occasionally. Do not boil. Seal in hot sterilized jars. Lucky for me - I'm the only one at the house that likes Bread & Butter Pickles!!! They are so good Paula! Thanks for stopping in. Thanks for dropping by Karri and thanks for the invite! I linked up! 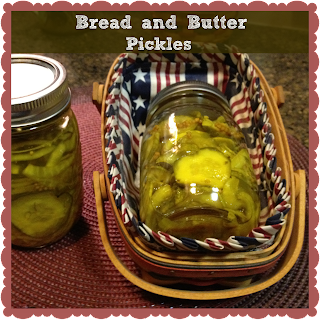 Bread & Butter pickles are a truly old fashioned treat. 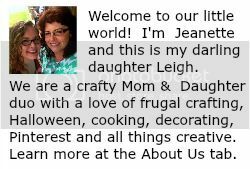 I saw that you stopped by and link to the Our Favorite Things Party. Thanks so much. Have a great weekend. Thanks for stopping by. They are really delicious! Thanks for the invite! We linked up! I made my first pickles the other day. On the seasoning label it divided pickle types into eat soon and can (as in waterbath). Do these need to be kept refrigerated or cannned? My son in law loves these so I really need to be sure he is eating good. He's a keeper! LOL Thanks for the recipe! These don't have to be refrigerated until you open them. They are delicious and I think I'm going to have to go dip in to a jar right now. My grandmother used to make these and they were my favorite! I haven't had them for many years. Can't wait to give this a try!